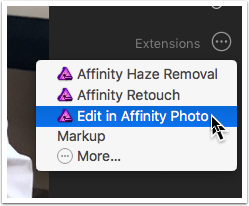 You’ve found an image in Apple Photos you want to edit in Affinity Photo, so you use the extension to open in Affinity Photo. 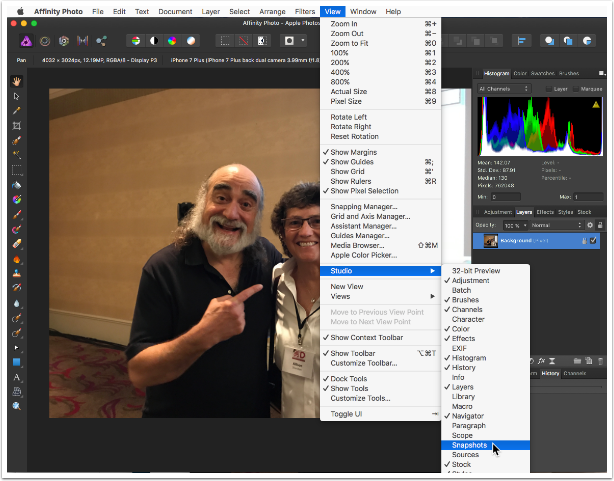 You make some adjustments, add some layers, and then want to save in the native Affinity Photo format. 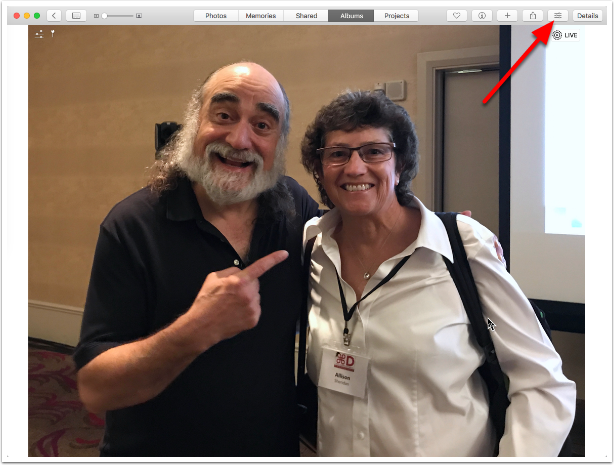 However because you opened through the extension, Save will only save it back to Apple Photos, and Save As is greyed out. 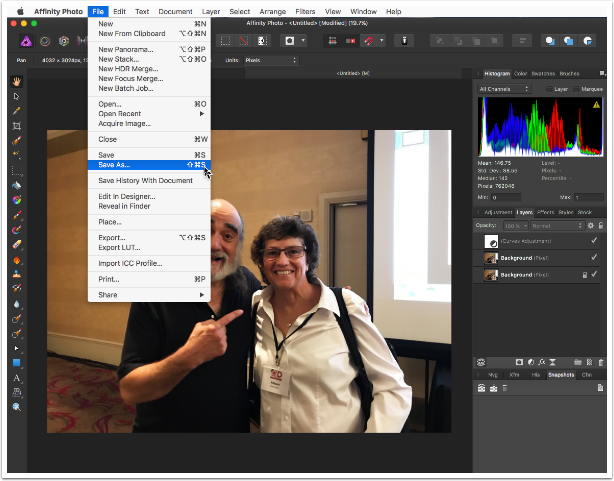 Thanks to owenr in the Affinity Photo forums, there’s a trick using Snapshots to solve the problem. Requirements: Affinity Photo for Mac loaded on your system. Click the edit button (or hit enter). 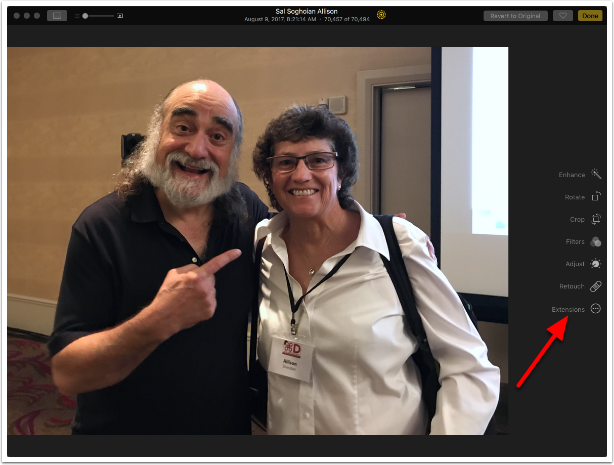 This is me meeting Sal Soghoian by the way! 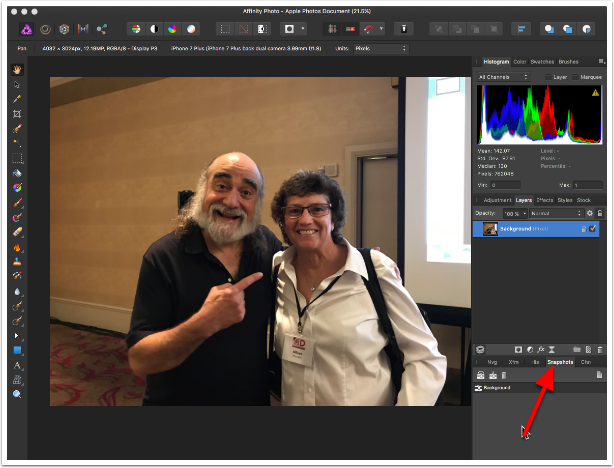 In this example I duplicated a layer and added an adjustment layer. 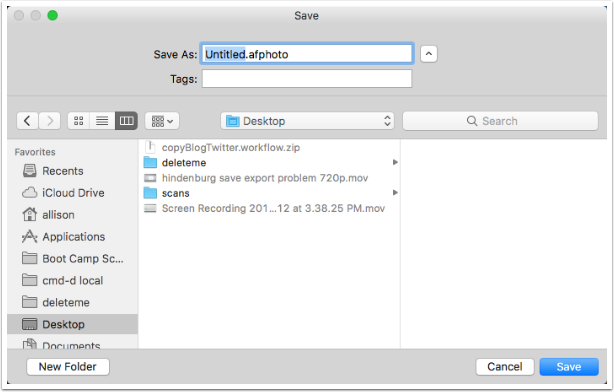 Not that Save is available (which saves back to Apple Photos, but Save As is greyed out. Go to View, Studio and turn on Snapshots if it’s not already available. 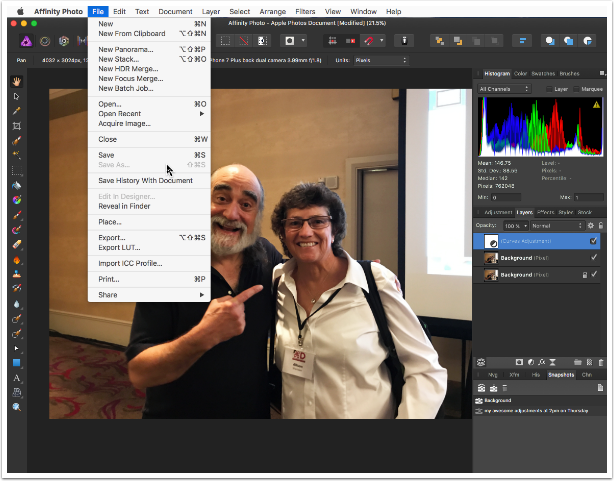 This will add a second document to your open Affinity Photo. 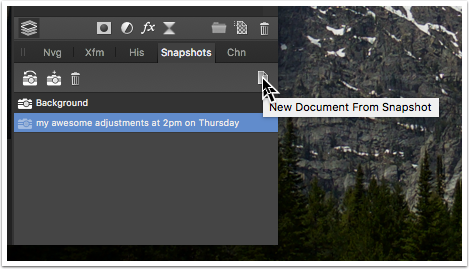 Note that you still have your original document open that you can save back to Photos if you choose.